Find out how much weight to gain if you're pregnant with twins. Have a look at the twin pregnancy weight gain chart from The National Academy of Medicine. 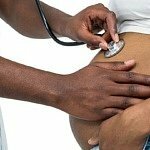 What is the appropriate twin pregnancy weight gain? The National Academy of Medicine (NAM) made changes to the guidelines concerning weight gain during pregnancy in 2009. * Only provisional guidelines regarding the optimal twin pregnancy weight gain was released, because the research on twin pregnancy weight gain was limited. The amount of weight to gain is dependent on a woman’s pre-pregnancy body mass index (BMI). To meet the recommendations of the report, women need to gain within the weight gain ranges for their BMI category. Unfortunately, there weren’t enough data to provide sufficient information to develop provisional guidelines for underweight women pregnant with twins. *In 2009 the NAM was called the Institute of Medicine (IoM). Regardless of your weight and BMI, be sure to discuss your weight and weight gain with your doctor. 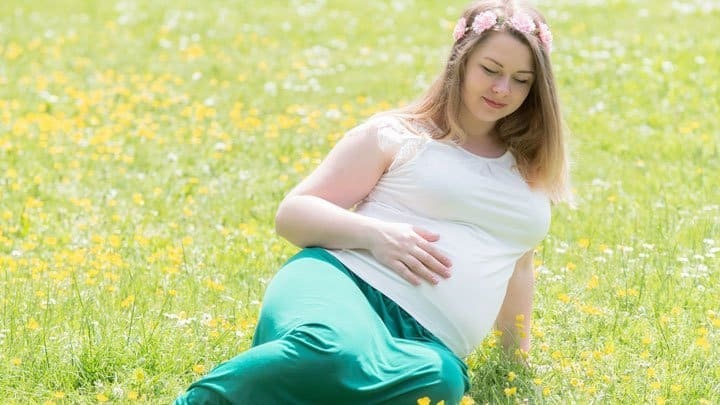 While some raise caution at the fact that excessive weight gain during pregnancy may be harmful to the mother and her babies, others have speculated that the provisional twin pregnancy weight gain recommendations may not be high enough to prevent low birth weight. A small study questioned the twin pregnancy weight gain limits for normal weight women. Over a five-year period, 170 patients in a New York City private obstetrics practice gave birth to twins at or near full-term. Mothers who gained more than recommended did not have higher rates of gestational diabetes, high blood pressure or pre-eclampsia than women who put on less weight. Plus, the more weight a mother gained, the more likely her babies were to be born weighing above five and a half pounds (2540 grams). Because of this, the clinic does not limit the amount of weight their patients gain IF they are a normal weight when they are entering pregnancy. Today, a greater percentage of women are entering pregnancy overweight or obese. Have a look at a Canadian study that explores outcomes for babies and mothers, who’ve gained weight below, within and above the NAM provisional guidelines.